Each day, before the lunch and dinner services, the staff sits down to a “family meal.” It is simple, often improvised, but special enough to please the chefs’ discerning palates. 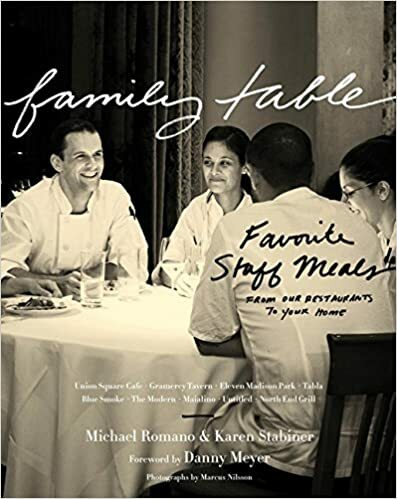 Now, for the first time, the restaurants’ culinary director, Michael Romano, coauthor of the award-winning Union Square Cafe Cookbook, collects and refines his favorite in-house dishes for the home cook, served alongside Karen Stabiner’s stories about the restaurants’ often-unsung heroes, and about how this imaginative .. of dishes came to be. Their collaboration celebrates food, the family itself, and the restaurants’ rich backstage life.